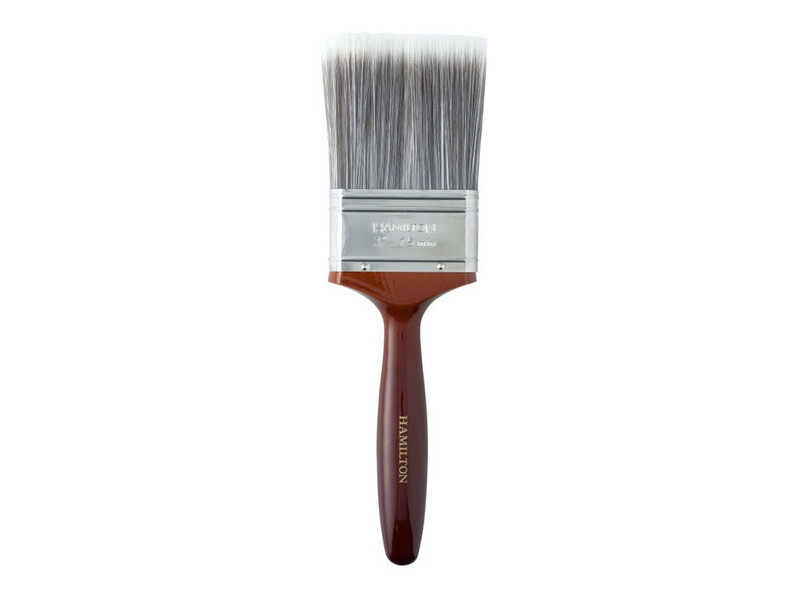 Professional brush with finely tipped and flagged high quality synthetic filaments with superb paint pick-up and spreading rate, for a perfect finish with water-based paints. 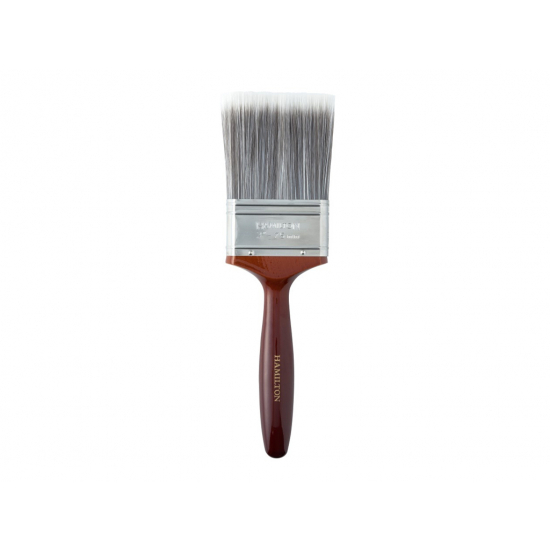 Durable and easy to clean, varnished FSC beaver tail style wooden handle. Rust resistant stainless steel ferrule for long life and head security. Vapour box compatible.